An FBI Badge Vanishes From a Parking Lot in Northern Va.
WASHINGTON — An FBI badge was inside a parked car one moment and gone the next. News of the missing badge first turned up in a blurb on Thursday in a weekly section of the Washington Post that lists crimes in Fairfax County, a suburb of Washington. Bud Walker, spokesman for Fairfax County Police, said the incident occurred on May 9 at approximately 5:15 p.m. The vehicle was broken into in a shopping center parking lot. He said there was no damage to the car, but the door appeared to have been forced open. Walker declined to say whether the vehicle was an official FBI car, but said the investigation is continuing into the missing badge. 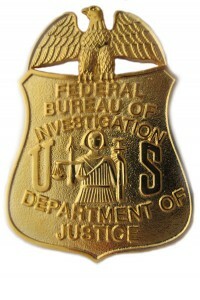 The FBI confirmed that the victim was an FBI employee from the Washington area. 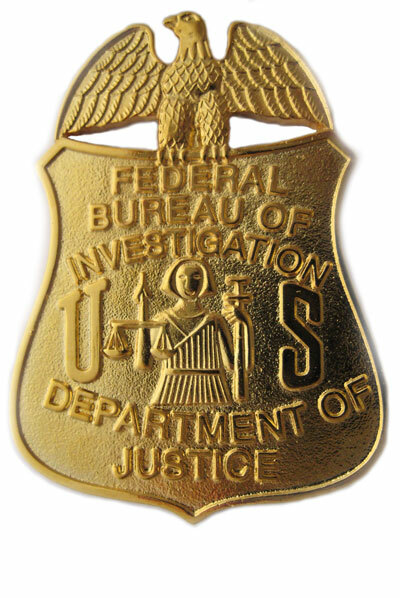 “The reality is FBI employees, like anyone else, can and occasionally do become victims to property crimes such as theft and break-ins,” said Paul Bresson, a spokesman for the FBI at headquarters. Posted: 5/20/10 at 6:33 PM under FBI, News Story.